The title from the accompanying document. On the reverse side of the photo is a sticker with typewritten text and date: Photo by Maximovich. 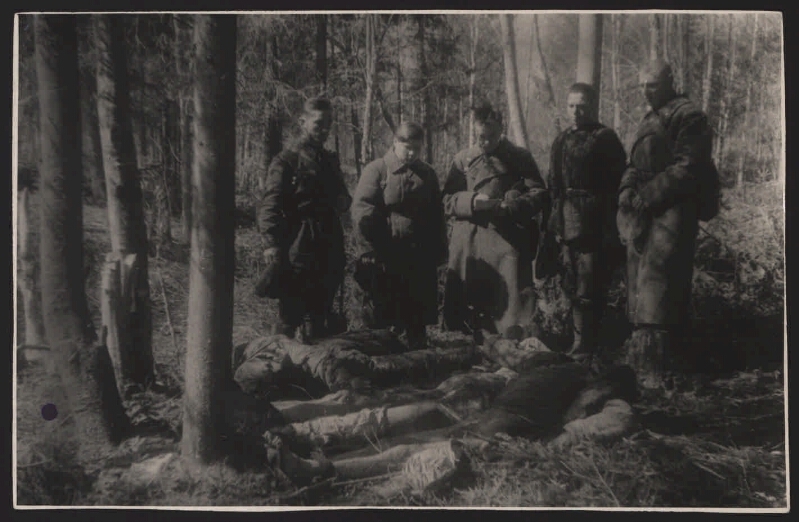 Near the village of G. Leningrad region, our soldiers found the corpses of 11 Red Army men, brutally tortured and killed by German fascists. Photo chronicle TASS. Leningrad 06.05.43. Electronic reproduction (2 files, 300 dpi, JPEG, 5.5 MB). I. Telegraph Agency of the USSR. The people (the collection). 2. Memory of the Great Victory (collection). 3. Leningrad region: pages of history (collection). 4. 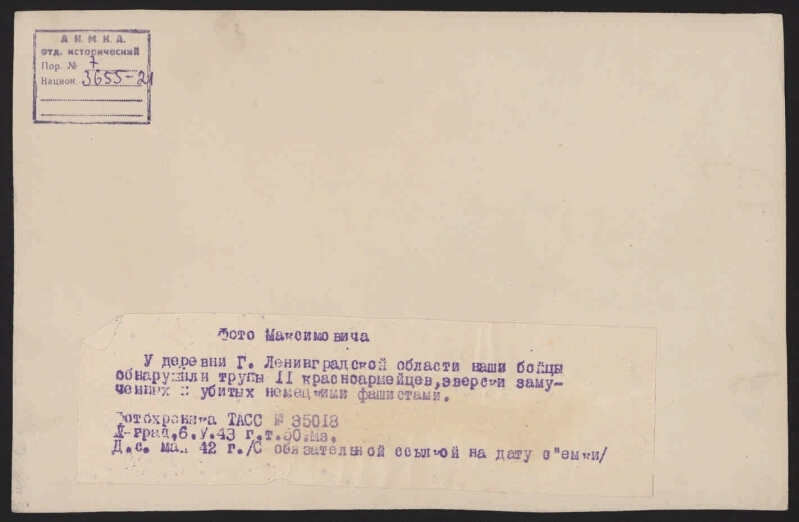 Territory of Russia: Leningrad region (collection). 5. The Great Patriotic War - Atrocities of the German-fascist invaders - Leningrad region. - 1941 - 1945 - Photographs. 6. The Great Patriotic War - Heroes and heroism - Leningrad region - 1941-1945 - Photographs. 7. Photos of the documentary - 1940 - 1950.